A hidden gem in the Adelphi –Annabelle Skin (Founded in 1994) aims to serve as the trusted skin and body care companion to its clients as they go through different stages in life by providing quality treatments, effective results and personalized service. Annabelle Skin strongly believes that everyone’s skin condition is unique. Each skin and body treatment will be customized accordingly with the combination of skillful manual methods with advanced scientific beauty technology, using high quality products made with natural ingredients from Europe to produce the best and most effective results. 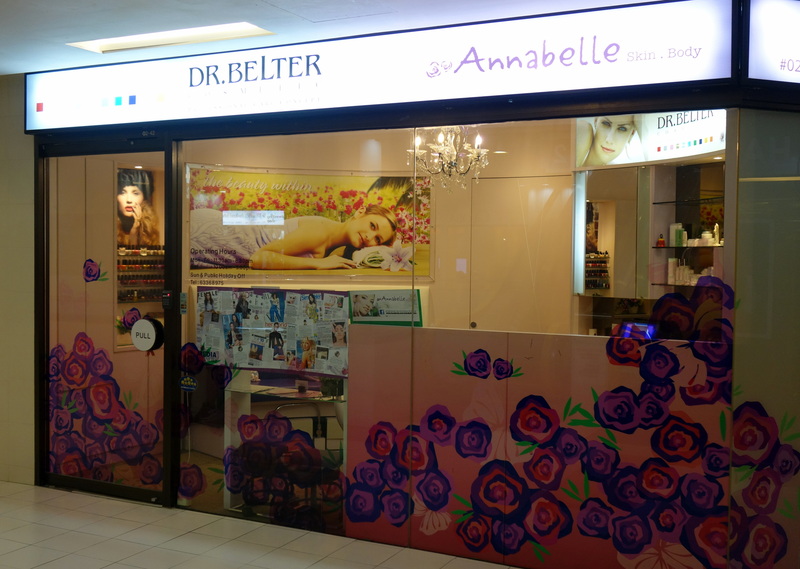 What set Annabelle Skin different from other salons which i have been to is that each facial treatment will be customized. During that few months where i experienced bad breakouts, focus was on treating my breakouts and sensitive skin. I did Dr.Belter Derm-A ReNew treatment and treatments which incorporate its Line-A products. Line A offers special and very effective products to ensure gentle, effective treatment of people with seborrhoic inflamed skin with acne. I’m thankful for the customized treatments in accordance to skin condition as it really help address and target problem areas better! For me, my skin condition improved and stabilized during each and every treatments. Without it, my skin won’t be able to improve so fast. The last facial treatment i had focused on repair and treating leftover breakouts. The facial treatment started off with cleansing. As i did not have any makeup on, Mandy went straight into normal skin cleansing with the use of Dr Belter Sensi-Bel Delicate Cleanser followed by Sensi-Bel Delicate Tonic to remove remaining residues. After which, it was left under cold steam for 15 mins to calm and hydrate my skin further before extraction. Over at Annabelle Skin, they do not promote squeezing to decongest pores. Extraction is done using a special extraction tool from Switzerland together with special technique to remove blackheads & clogged sebum. As a result, it is not as painful and red as compared to conventional extraction. After extraction, Mandy sterilized my skin with a high frequency machine to kill bacteria on the skin’s surface.. During the process, i experienced a mild slight ting-ing sensation. After which, she applied Dr Belter Algae Extract (Ampoule No.4) on my face and neck. Algae and sea extracts contain are multitude of highly effective substances. After which, Line A mask was applied on as the last step to combat current and subsequent breakouts. The photo below was taken 2 days after facial! Only the extractions done at Annabelle Skin does not leave my skin looking swollen and patchy. Post facial, my skin is smoother, brighter, healthier and less oily + sensitive. There are some minor purging but it cleared up pretty fast. 2 weeks post facial, my skin still stays healthy and active breakouts were reduced significantly. Photo was taken after applying a thin layer of tinted moisturizer as i had to attend a wedding lunch.